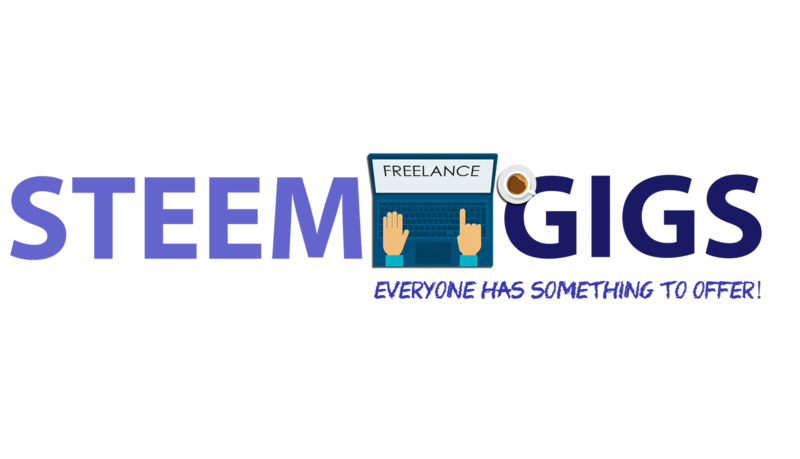 Welcome to the edition The curation A Tear Now Has Value # 17, in this edition, 36 wonderful Steemians are rewarded with extra exposure and ascending votes to create inspiration and add tears of enjoyment. @morbyjohn Life: Your grandmother is gone, please if you want, visit his blog to express the condolences. First Vigil of my Grandmother’s death. @mariangela Crafts: Here you will find a tutorial for a learn to make a bear in Foami, if you want to learn about this, visit his blog. Decoration blog. No. 7 Let’s make the grumpy bear! 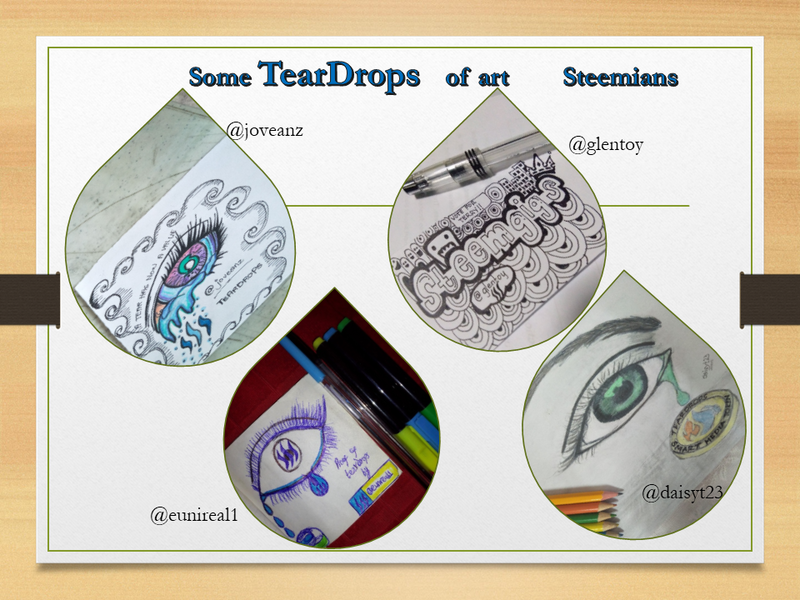 @eunireal1 She draws a teardrops and tells us that she is moved by the life stories that teardrops promotes in the editions and in her sensitive message she tells us how important is the support we can provide, a fragment here: “you and I need to try our possible best to support those in trying times even when things go so well for you.” Visit his blog to read it full. 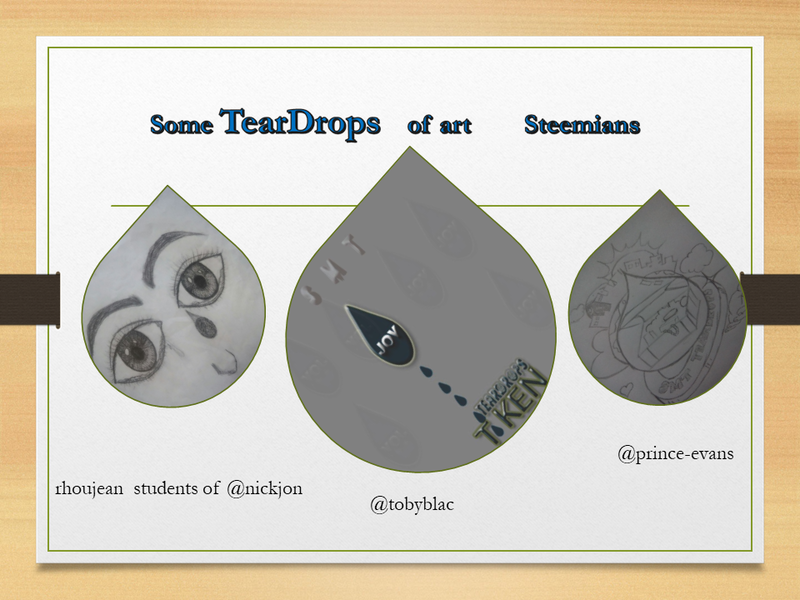 TEARDROPS SMART MEDIA TOKEN DRAWING BY ME FOR ..
@ammyluv Personal life: she tells us the many shortcomings that she had to endure due to the economic situation of her family, this caused her frustration and anger, but with the passing of the years she understood the effort of her parents, who sacrificed their food and clothing to attend to the needs of their children first. Currently her economic condition improved, and now she and her brothers take care that their parents. A fragment: “Sometimes, we barely feed for the day. I remember, going to school barefooted sometimes, cause my scandal got bad and probably, no money to get a new one.” Visit her to read her full message. TEARDROPS OF SACRIFICE!!! @msswaggerfuck Life: Your life partner is sick. Ask for prayers for the restitution of your health. 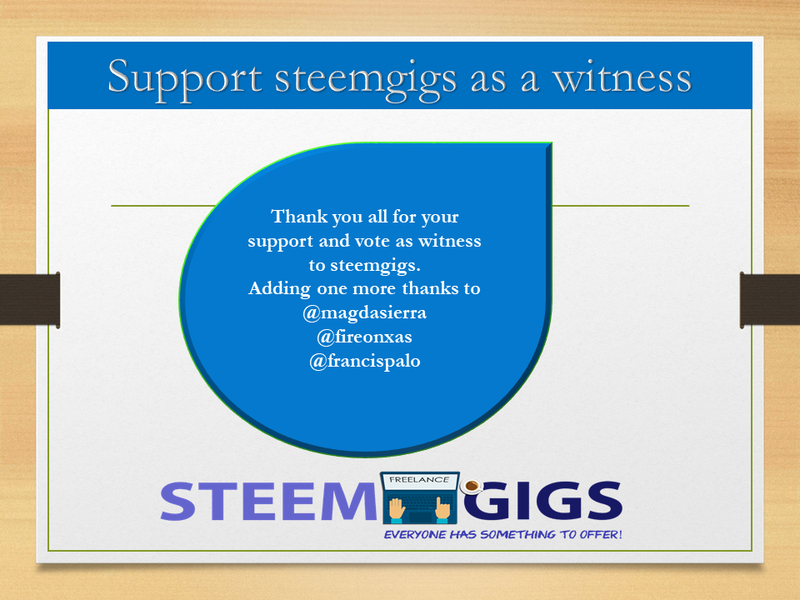 TRIALS..
@glentoy Doodle Art Promoting STEEMGIGS by a DOODLE ART!! 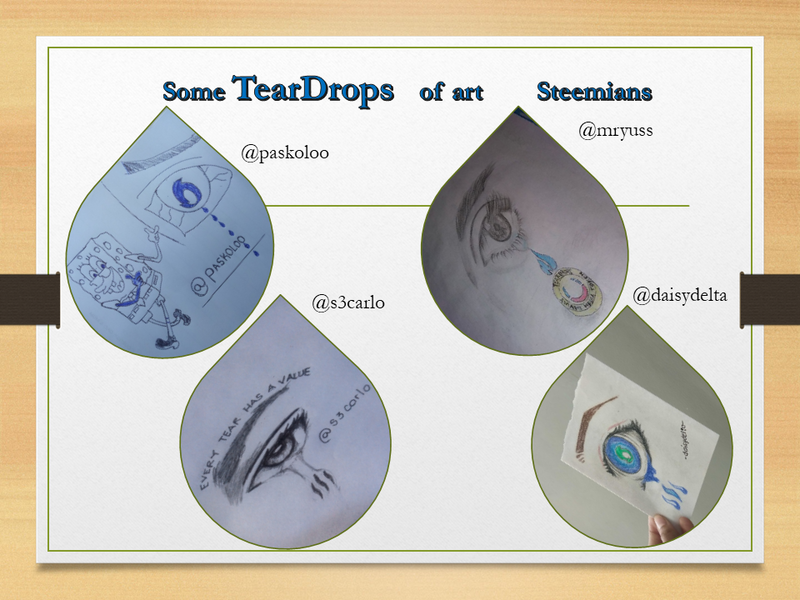 @s3carlo Drawing of tearsdrops My own TEARDROPS logo..
@fardhanra Drawing of tearsdrops Teardrops Entry : Smart Media Token ..